I think that this church might be locked normally but it was open when I called as some hedge trimming was taking place and a long lead trailed into the church. 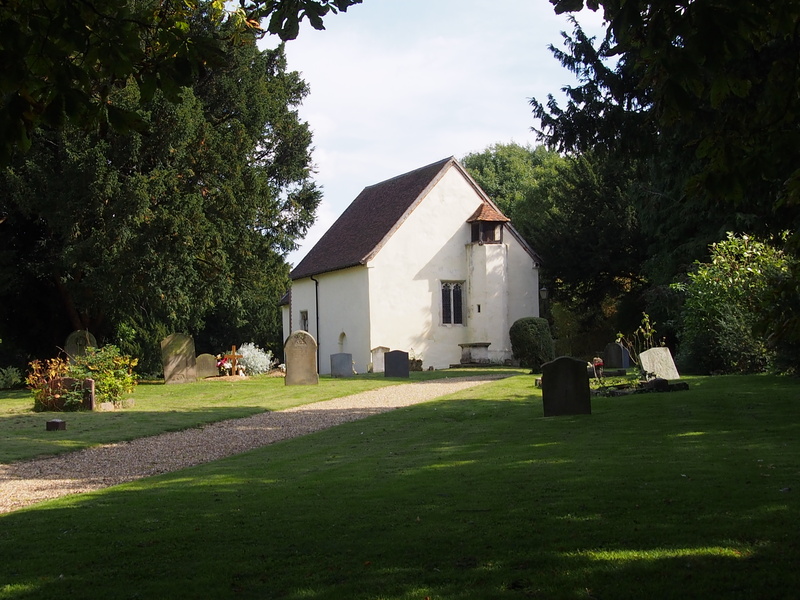 It is a quaint, simple little church in a well kept churchyard. It is signposted off the road. There was no guide booklet inside and only 2 people had put entries in the visitors book this year. 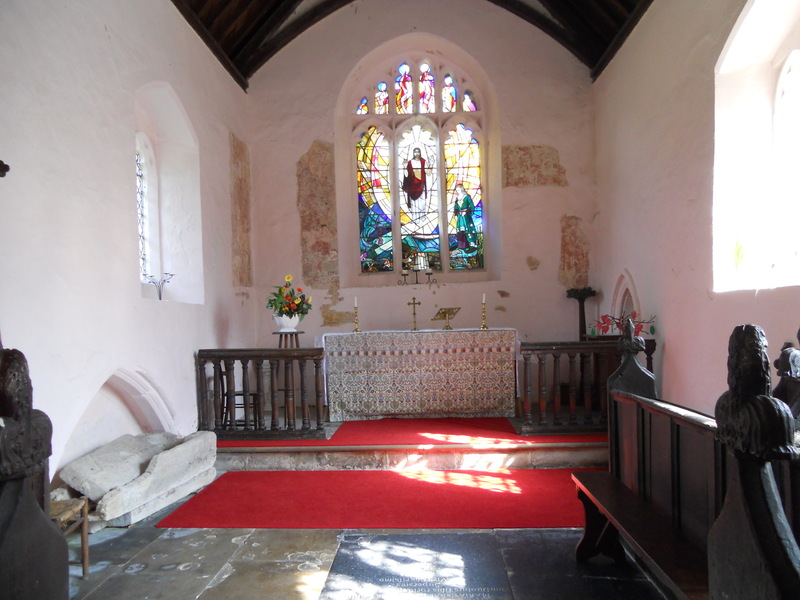 All of which helped me to conclude that here was a church I was very lucky to find open. It ought to be open each day as their are neighbours how could keep an eye on it. 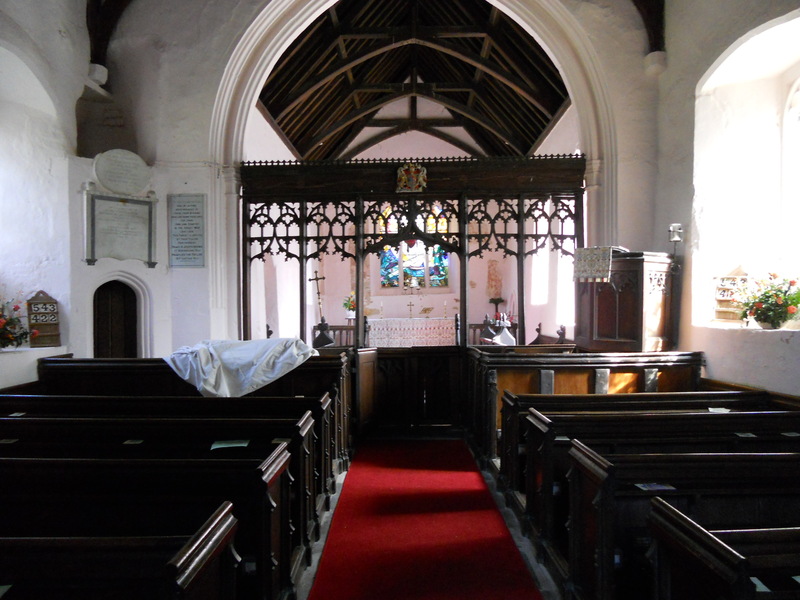 It is also an interesting little church. Anyway, I enjoyed a picnic on a bench here and watched the world go by.